Grommets every 40" Grommets every 20" Grommets every 10"
How to setup the printing file and upload: Do-It-Yourself: Use this Manufacturing Template for the roll and overlay your creative. Add to Cart, then Upload matched to the line item ready for printing, View and check each Instant Preview, Pay and Approve. You'll recieve a special web link and email. Then, watch as your order moves around the factory and to your door. 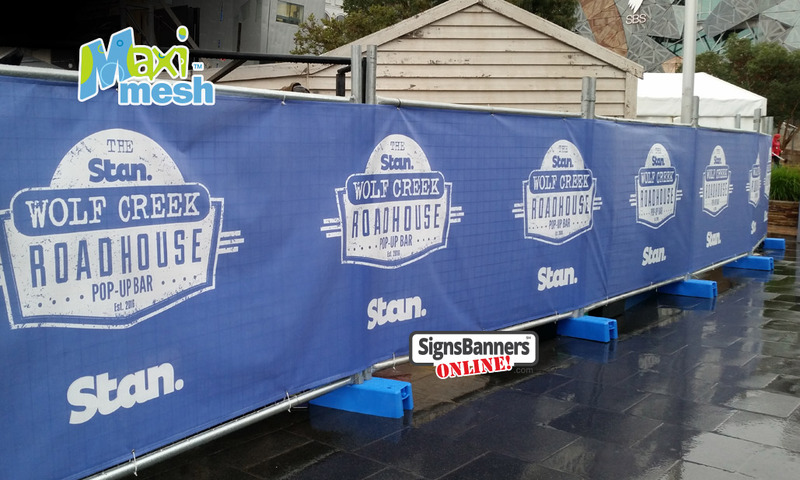 Details: Rolls are printed on quality mesh with outdoor waterproof grade substrates and with genuine UV fade resistant ink. 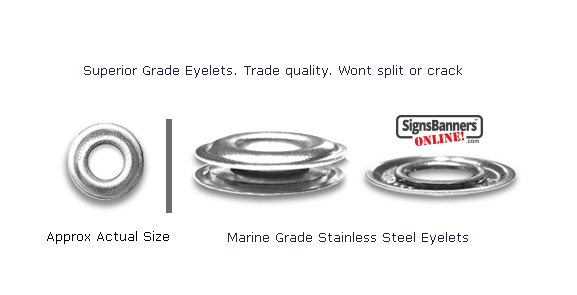 Photo quality printing, hemmed edges and fitted with never rust metal grommets . 25% GraphicsRepeated Logos. 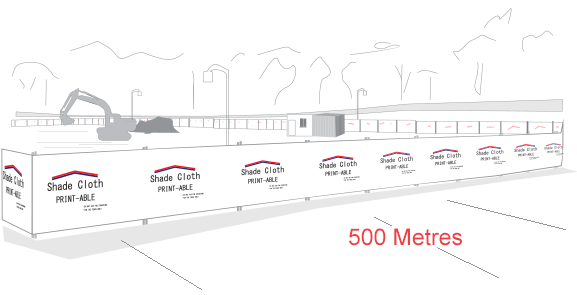 Ideal for land developers and large sites. White Background. Special Offer - Was $288.88 ea. 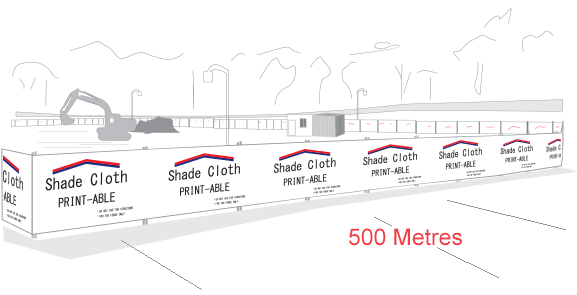 Shade Cloth 1500 lineal ft Includes printing with your logos or insignia, double edging and SBO's famous never rust metal grommets every 40" . Ready to use. Easy to install. Suits temp fence. Genuine NO FADE 2yr ink. Special Offer - Was $365.28 ea. 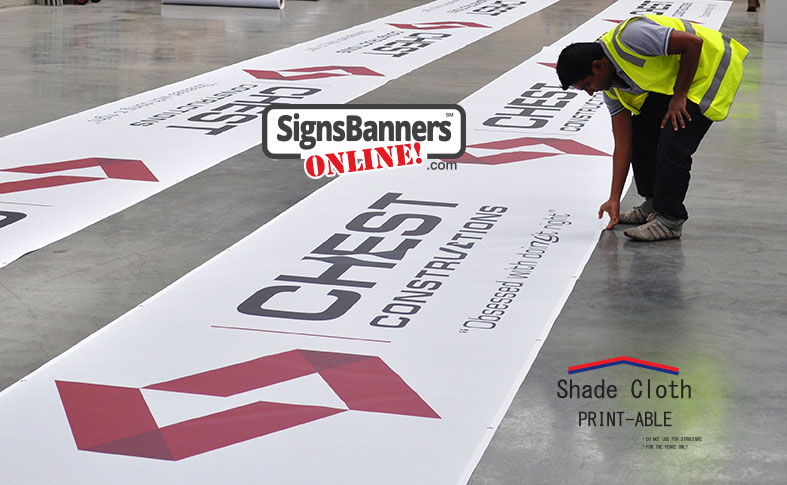 Shade Cloth 1500 lineal ft Includes printing with your logos or insignia, double edging and SBO's famous never rust metal grommets every 20" . Ready to use. Easy to install. Suits temp fence. Genuine 2yr ink. Special Offer - Was $486.44 ea. Shade Cloth 1500 lineal ft Includes printing with your logos or insignia, double edging and SBO's famous never rust metal grommets every 10" . Ready to use. Easy to install. Suits temp fence. Genuine 2yr ink. 50% GraphicsBig graphics. Unlimited repeats. White Background. Special Offer - Was $422.88 ea. 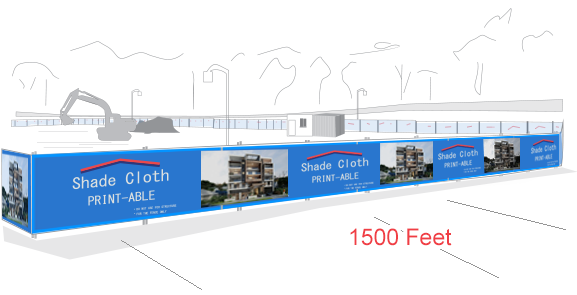 Shade Cloth 1500 lineal ft Includes printing with your logos or insignia, double edging and SBO's famous never rust metal grommets every 40" . Ready to use. Easy to install. Suits temp fence. Genuine 2yr ink. Special Offer - Was $505.28 ea. Special Offer - Was $548.64 ea. 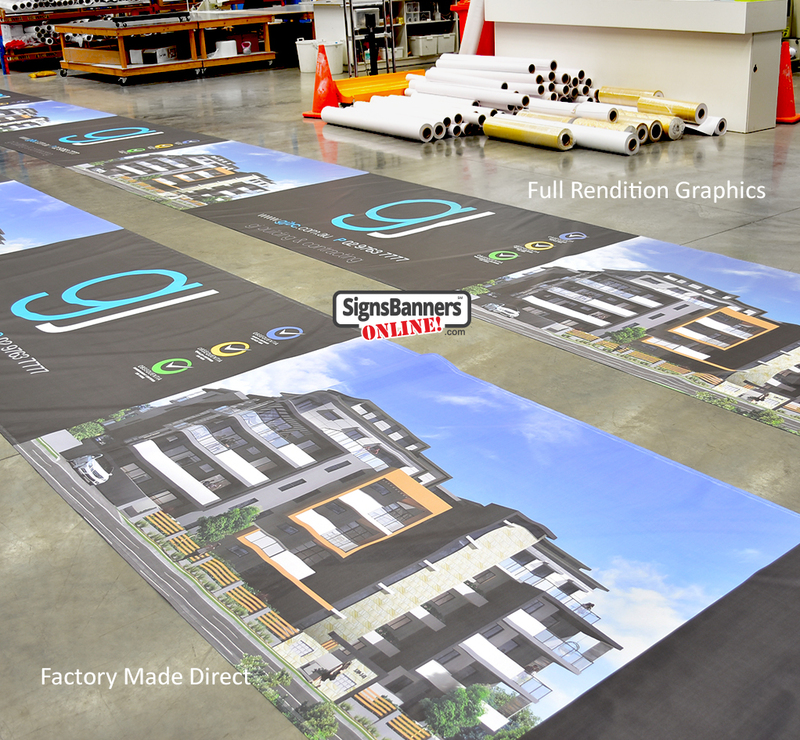 Full GraphicsSuitable for imagery, big graphics and block colors. Special Offer - Was $648.26 ea. Special Offer - Was $679.92 ea. Special Offer - Was $774.06 ea. 50% GraphicsHigh definition graphics. Unlimited repeats. Crisp fine text/logos. White background. Special Offer - Was $416.82 ea. 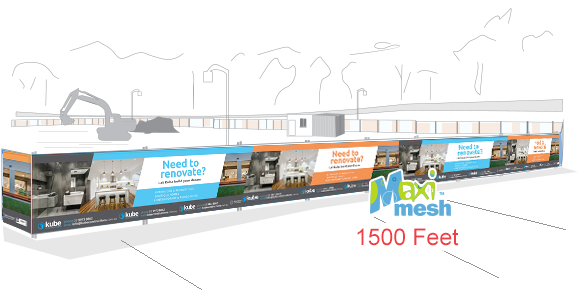 Maxi-Mesh 1500 lineal ft Includes printing with your logos or insignia, double edging and SBO's famous never rust metal grommets every 40" . Ready to use. Easy to install. Suits temp fence. Genuine 5yr ink. Special Offer - Was $500.19 ea. Maxi-Mesh 1500 lineal ft Includes printing with your logos or insignia, double edging and SBO's famous never rust metal grommets every 20" . Ready to use. Easy to install. Suits temp fence. Genuine 5yr ink. Special Offer - Was $572.80 ea. 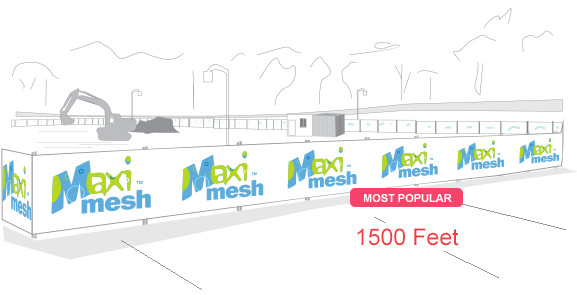 Maxi-Mesh 1500 lineal ft Includes printing with your logos or insignia, double edging and SBO's famous never rust metal grommets every 10" . Ready to use. Easy to install. Suits temp fence. Genuine 5yr ink. Full GraphicsHigh definition graphics. Unlimited repeats. Crisp fine text/logos. White background. Special Offer - Was $688.10 ea. Special Offer - Was $752.56 ea. Special Offer - Was $832.31 ea. 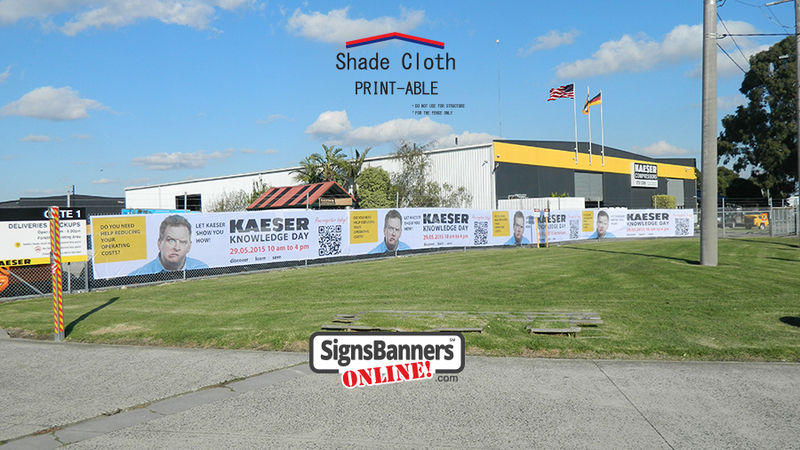 The value buying a full roll size offered by signs banners online are excellent price, quality and color so if you're a brand manager, its the one to use for satisfaction. 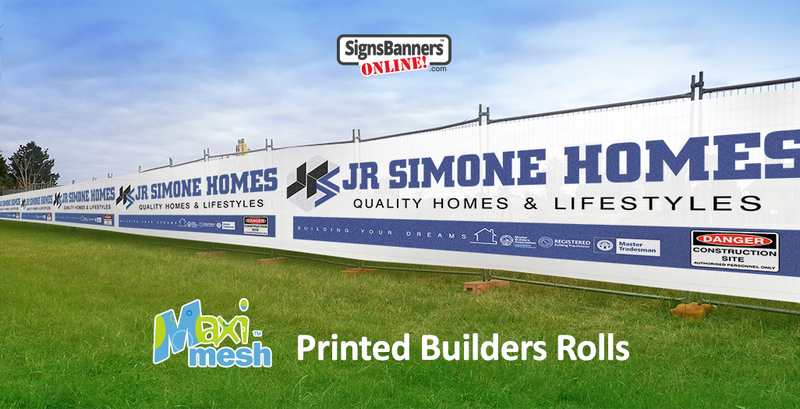 150 ft full print builders rolls are used everywhere and hold better color than any other mesh. They are portable, 11oz thick, inner woven and very strong. Made to last! Buy 10 Rolls x 150 ft and Save! 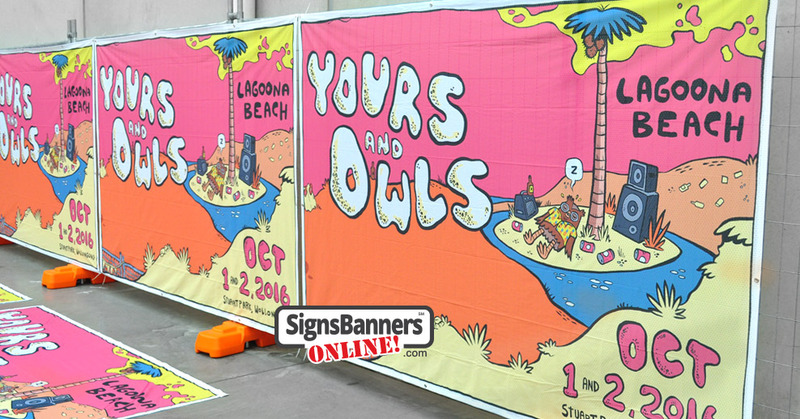 Be ready for all kinds of outdoor advertising with mesh banners. 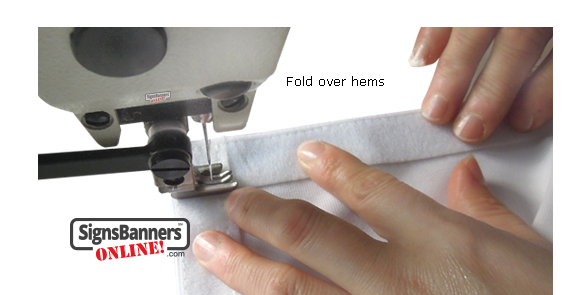 A simple, easy to order size here that makes them simple to pack or ship. 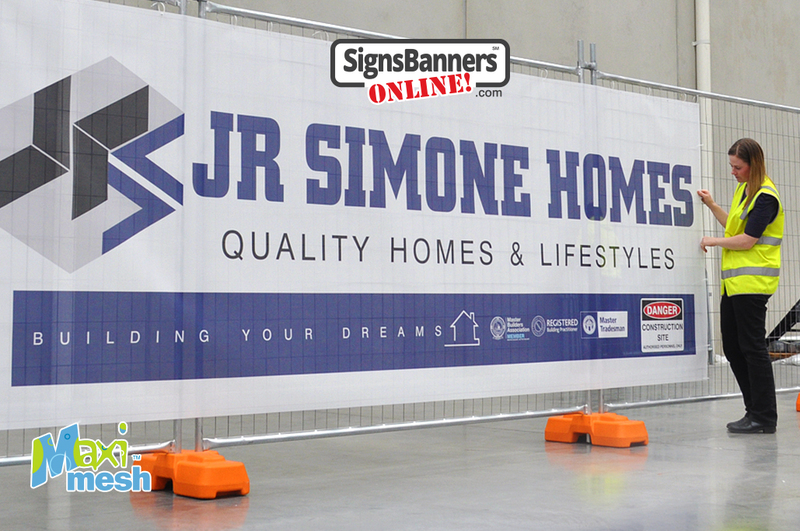 Our pvc mesh, shade cloth and poly is high-quality non glare finish, which make your message easy to see in any type of lighting. 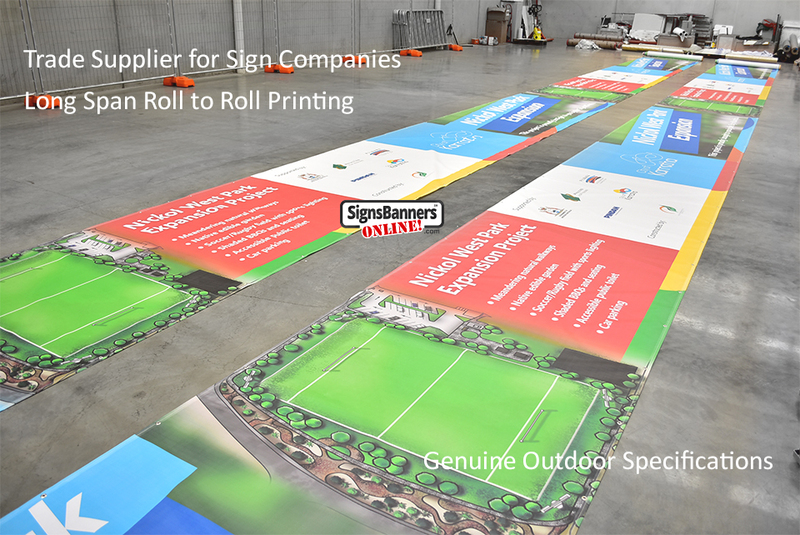 Get started now by downloading the free manufacturing template and overlay your graphics ready to order. "Fantastic company to deal with. Amazing color quality. Vinyl Banners Forsight"
"Our printed site cladding is best we have ever seen. Top quality and very well made. 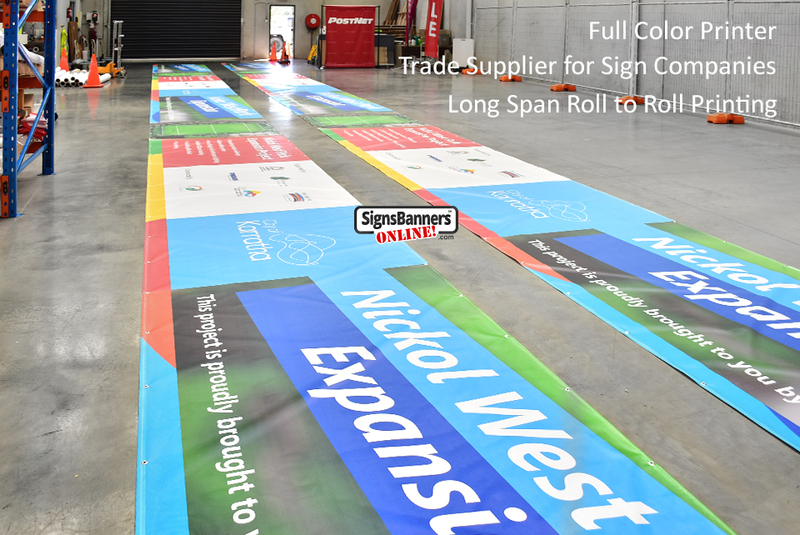 Local Trade Printing City of Parramatta" Nichole G.